The world of web hosting is home to many different web hosting providers that promote and sell hosting services. iPage is one of them. It is listed among the top web hosting providers and is a top choice for many web developers looking for top quality and affordable web hosting packages. With iPage, you can start building for as low as $2.75/month for the first term of service. iPage regularly has online sales, discounts, and other cool promotions to help you save more on web hosting cost. Just like any web application, iPage’s website builder can work only if it’s compatible with your operating system (OS). 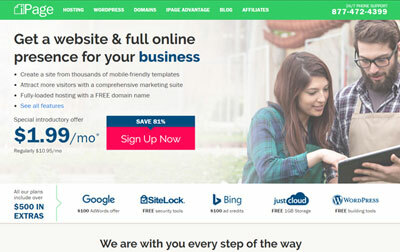 With a website builder, you can easily create your own website the way you want it. It has ready-made templates and other options at your disposal. All you need to do is to pick a design, click away to edit, add descriptions, titles, and other necessary information to get your website up and running in no time. You may be wondering whether or not you can use the website builder with the Mac OS. The answer is yes. You can make changes to some system requirements and specifications and make the website builder work by having an OSX version 10.4 or higher, and a web browser in its latest version. If you’re using the Windows OS, you need to at least have Windows OS 2000 or a newer version, a minimum 800×600 screen resolution, and an updated web browser of your choice. [Insert Weebly] iPage uses one of the best and most popular website builders called Weebly. 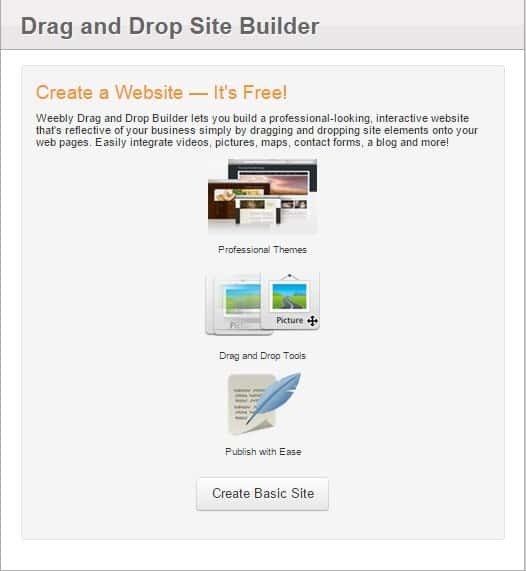 It’s a drag-and-drop website builder that’s simple and easy to use. Simply hold, drag, and drop elements of your choice into your web page and you’re good to go! You can begin creating a website from a variety of templates, including entering titles, descriptions, contact information, and many more. Publishing your website is easy with Weebly! Do you have any technical issues or concerns regarding Weebly? iPage has a FAQs section where you can get more information about commonly asked questions. iPage uses another website builder called SiteDelux. Technically, it works just like Weebly. With it, you can also build a website by choosing from its numerous ready-made templates. You simply have to manipulate the available elements, designs, and templates to finalize your website before publishing it. With these iPage website builders, building a website is easy-peasy! Click here to know more about iPage and SiteDelux.